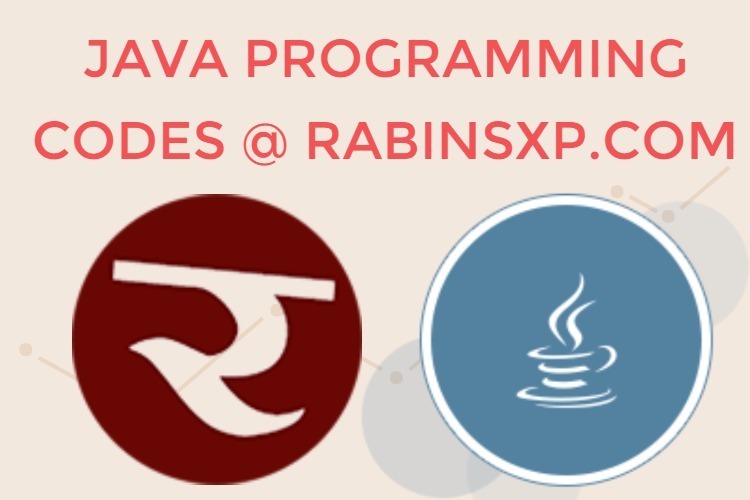 Write a Java program to implement the Stack using arrays. 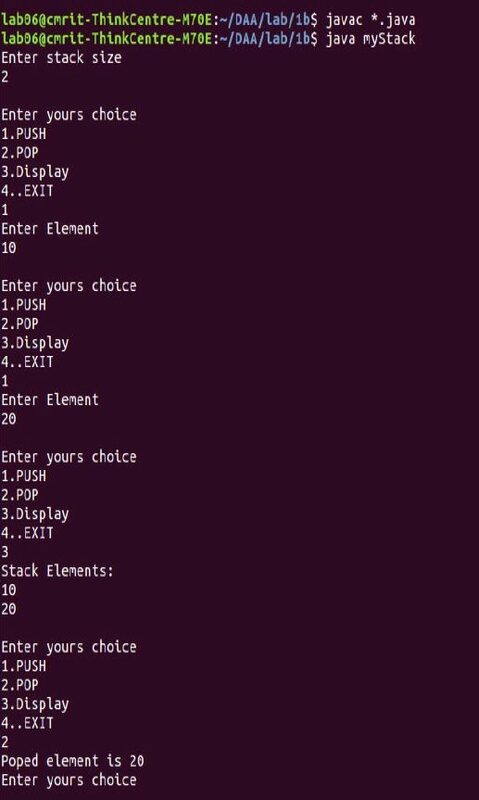 Write Push(), Pop(), and Display() methods to demonstrate its working. Object is an instance of a class created using a new operator. The new operator returns a reference to a new instance of a class. This reference can be assigned to a reference variable of the class. The process of creating objects from a class is called instantiation. An object encapsulates state and behavior. An object reference provides a handle to an object that is created and stored in memory. In Java, objects can only be manipulated via references, which can be stored in variables. Creating variables of your class type is similar to creating variables of primitive data types, such as integer or float. Each time you create an object, a new set of instance variables comes into existence which defines the characteristics of that object. If you want to create an object of the class and have the reference variable associated with this object, you must also allocate memory for the object by using the new operator. This process is called instantiating an object or creating an object instance. [alert-success]In the following statement, obj is instance/object of Student class. However, in this particular case, we may use a for a loop since all Student objects are created with the same default constructor. [alert-announce] The Constructor in java is a special type of method that is used to initialize the object. Java constructor is invoked at the time of object creation. It constructs the values i.e. provides data for the object that is why it is known as the Constructor. Constructor with arguments is known as parameterized constructor.